So, a few weeks ago I was talking online to Tanya about her video blog, and we were discussing different things she might be able to do to mix things up. Since one thing they have plenty of out in her neck of the woods is snow, I suggested she make a snow angel. She ended up making a great video that was even picked up by the CBS network in Chicago. Anyway, I decided to do a how to video on how to make a snow angel when plagued with 70 degree weather all winter. I hope you enjoy. 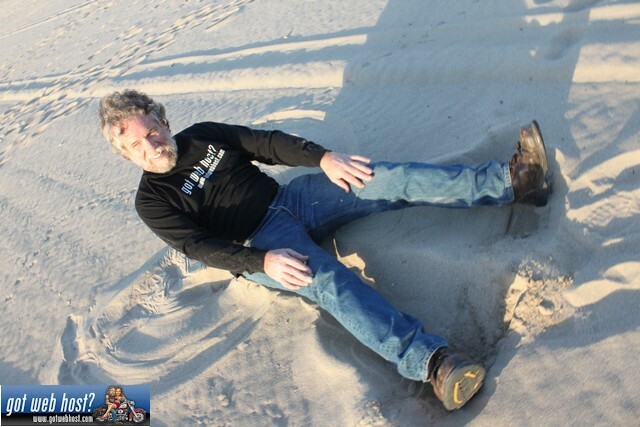 For my day 16 photo I went to the beach to show Tanya how we make snow angels in the South Bay.